No need to tell a fishing story about the grand success of your next event. 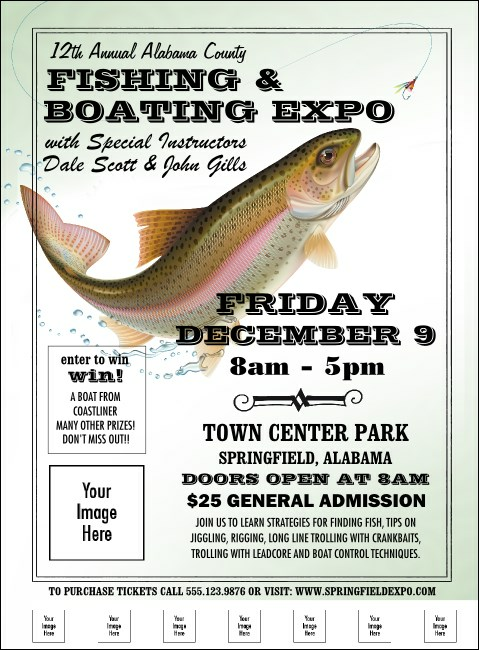 The Fishing and Boating Expo Flyer lets you share news of your vendors and exhibitors far and wide. Printed with the image of a large rainbow trout after a fly, this colorful flyer template has space for five image uploads. Sail away to the perfect event with promotional materials from TicketPrinting.com.